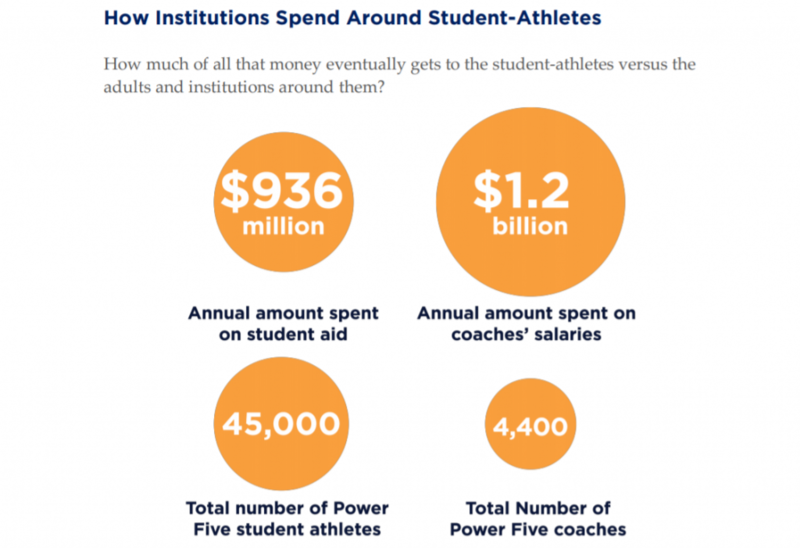 Here is the depressing reality of college sports: while coach salaries have escalated at a tremendous pace over the past couple of decades, the fate of the “student-athlete” has remained the same. There have existed advocates for change to the system of uncompensated labor, but rarely from anyone who has real political significance. That is, until recently. United States Senator Chris Murphy has decided to put his weight behind lobbying for the National Collegiate Athletic Association to make changes to its rules and allow college athletes to be compensated. He kicked off his campaign with the release of a “Madness, Inc.” report that largely attracted attention based on the stature of the person behind the report and the idea that it is just the first in what will be a series of to-be-released publications. Senator Murphy has since graciously decided to speak with me to answer some questions surrounding his advocacy and release of the initial report during the pendency of the NCAA Tournament, after the widely discussed Zion Williamson shoe snafu. He made reference to college sports revenues tripling over the past fifteen years and the massive apparel and broadcasting contracts that have dramatically expanded the potential profits that people make on college athletes, while those athletes have had to fight for stipends that only cover the non-tuition costs of college. Senator Murphy’s initial hope is that his reports serve to create a conversation and debate in the U.S. Senate, and he claims that many people in the Senate feel passionately about the issue of paying college athletes, on a personal level. He hopes that more of his colleagues feel the desire to debate the issue publicly. Thus far, Senator Murphy has been able to persuade some other politicians to join his crusade. He mentioned Representatives Mark Walker (R-NC) and Cedric Richmond (D-LA), who have introduced legislation that would allow college athletes to profit off of their likeness. He also made reference to Representative Al Lawson (D-FL), who introduced legislation aimed at protecting athletes’ rights, including the elimination of the one-and-done rule in the NBA. “On the Senate side, I’ve already received positive feedback from several offices who are interested in getting involved. So the energy and the urgency is there and in a way that crosses the aisle,” added Senator Murphy. While Senator Murphy’s reports are certainly intended to procure publicity and educate people on the current state of college athlete affairs, they also serve to send a message about the effort and commitment he is planning to take on this issue throughout 2019.